The first time I saw 3D Prints I was fascinated by the complexity it allows to generate, where your imagination is the only limit to create any shape. 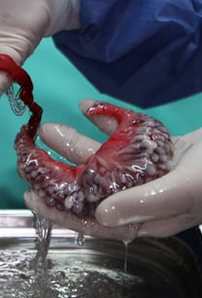 I wondered what the future of the way we make things would look like and how would that affect our lives. What kind of products will we produce? I was intrigued by the shapes of the dresses exhibited at “Change the System”, and found out that Iris made an entire collection using mainly umbrellas sticks, and that she uses a lot of 3D Prints and laser cut fabrics in her collections. She spends a lot of time experimenting and researching new materials before start making, combining craftsmanship with the use of new technologies. She also collaborates with many people from other disciplines and incorporates new inputs, which I think is essential to develop new ways of making. I question to myself what are the possibilities of fashion in between the arise of new technology and old craftsmanship. 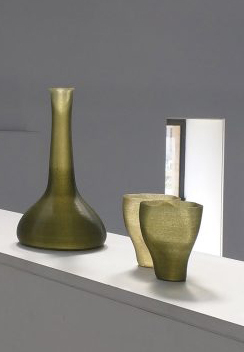 Materiality is changing as we develop new tools and materials, and so is the way we produce. If we change the way we produce then we will change our relationship with our possessions. Fast fashion allows people to buy fashionable outfits inspired by the latest trends in the runway and get them for a very low price. Mainstream consumers are now able now to afford new things that will last for a very short time. Fast fashion is unsustainable (fast discard, waste of manufacture and after consumption), unethical and unoriginal. Consumption has clearly a very deep influence in our society, and buying clothes now responds to a wish more than a need: we no longer buy because we really need it, but because we desire them. “(…) the consumption of symbolic meaning, particularly through the use of advertising as a cultural commodity, provides the individual with the opportunity to construct, maintain and communicate identity and social meanings” (Elliot, “Existential consumption and irrational desire”, 1997 [x]), and marketing plays a “key role in giving meaning to life through consumption” (van Raaij, 1993 [x]). We are involved in a cycle where trends go faster than ever, and are hard to keep up: what matters is not the quality, but how fast it gets to the shop and how cheap it is.The process of obsolescence of the garments is already planned from the beginning: it’s meant to replace the old season and attract new purchases. We throw away and buy a new one. Fast fashion becomes the opposite of creative and original pieces. In a way is about copying what is analysed as trendy, producing it as fast as possible to replace the previous trend. We don’t have any attachments to our possessions, no story behind them: we discard them once they are out of trend. One of the biggest problems of fast fashion is that produces enormous amount of waste we don’t know how to deal with, as well of an increasingly overconsumption of low quality products that are made to be thrown away soon. Retailers sell products that are being manufactured in undeveloped countries, where the labour cost is very low. The globalization of the free trade world market enables “race to the bottom” situations and sweatshops are the best example . 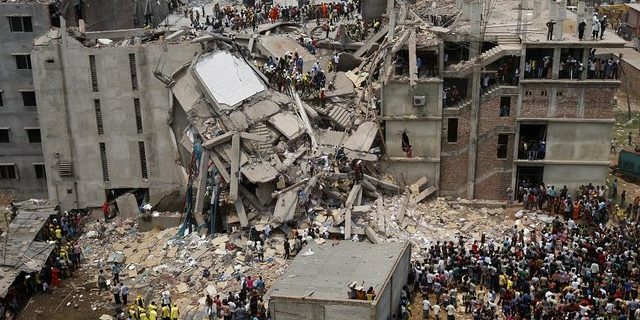 The catastrophe in Bangladesh, 2013 is the most horrible example: an eighth floor garment factory building collapses killing massive amounts of people. It was the deadliest garment-factory incident in history. The conditions under which they were working were so immensely deplorable that it had to get to this catastrophic point to raise awareness. The large retailers but they are competing for lower production costs, and implementing unethical measures to keep the low prices at store. We are starting to become aware about what we are consuming. Where, how and by whom was produced is becoming more and more relevant. I strongly believe that is of mayor importance to ask that question and try to understand the mechanism of the chain production and global economy dynamics. I see an urge to create new, sustainable and better quality products. Slow fashion is a movement that stands for long lasting high quality products, where the production process is transparent. 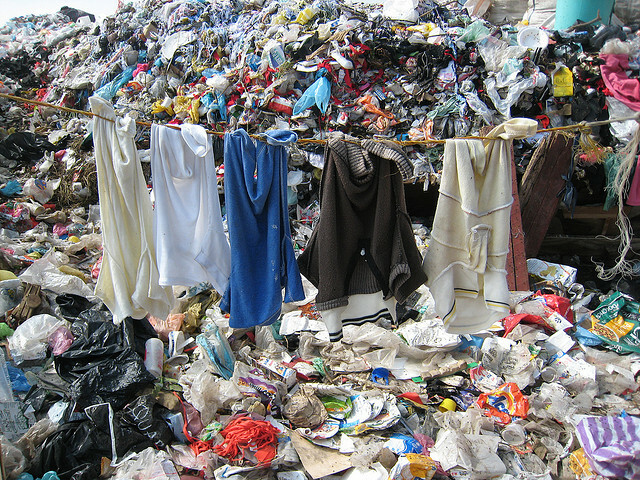 They make garments reducing waste as much as possible, socially and environmentally ethical. They make sure the fabrics are Eco-conscious, the garments are produced locally and with less waste possible. Changing the way people make their own garments and making accessible and easy to do, will also change the way they relate to their clothing. There will be more appreciation and another type of value to our possessions. It will also allow us to express our own identity through original and valuable pieces. We won’t look for images to buy, it will come from our imagination and more honest desires. It is also about generating an emotional and personal value with our possessions. I think 3D print and other technologies will disrupt the production chain in a positive way. This way the consumer will be more involved with the idea and the production process of the piece that what she/he wants to wear, maybe even print our own garments at home or small objects. Iris has an urge to change fashion industry. Innovation is also who to collaborate with to create a groundbreaking garment, avoiding waste and incorporating new technologies. What if we could bring technologies and slow fashion together? Which materials and tools can we bring into fashion that would change the way we produce and consume? What will technology allow us? It is interesting to think how the future of fashion will look like, but fundamental to bring resources to local communities and development of conscious business, local development of ideas and conscious entrepreneurs. :Can high-end designs have any social significance?